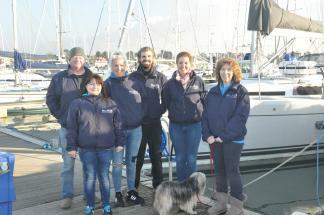 In 2009, Karen and Graham Potts acquired Hamble Point Yacht Charters from Doug and Wendy Hamilton, who had successfully built up the business over the preceeding years. Karen and Graham have a strong business background, having founded a successful business in the IT industry prior to their involvement with Hamble Point Yacht Charters. Karen can usually be found managing background activity and helping Alex. in the office during the week. 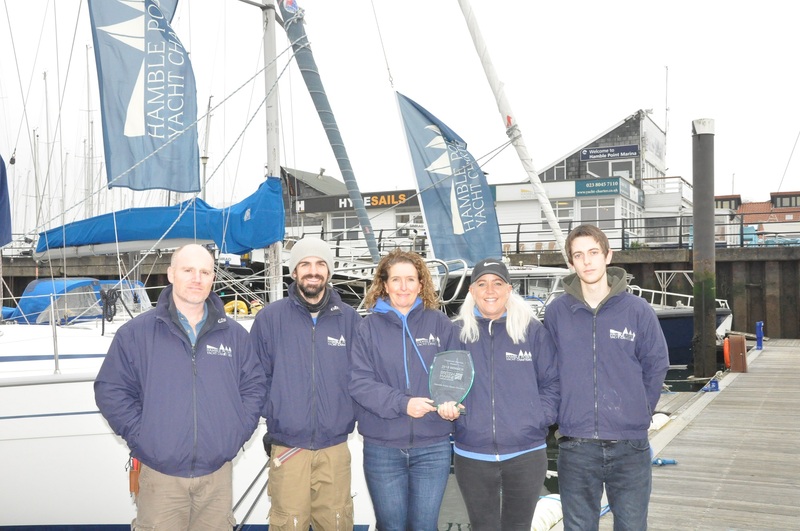 In 2009, Karen and Graham Potts acquired Hamble Point Yacht Charters from Doug and Wendy Hamilton, who had successfully built up the business over the preceeding years. Graham has been a keen sailor and yacht owner for many years. Karen and Graham have a strong business background, having founded a successful business in the IT industry prior to their involvement with Hamble Point Yacht Charters. You may often find Graham manning the office on a Saturday morning or on a Sunday afternoon. Alex. has worked for many years in the corporate world in senior positions within Customer Service, Event management, Operations and Sales. She gave up the rat race in 2011 to become a freelance RYA Yachtmaster Instructor and race skipper. She has worked all over Europe teaching and racing. Whilst she still loves to teach, and does head out teaching and skippering for us, she is primarily based in the office managing all of our bookings. She is also our Chief Instructor for the RYA Sailing School. Alex's passion is inshore yacht racing so can be seen out most weekends in the Solent. Kate has recently joined the team to help out in the office for a few days a week. She will be primarily concentrating on our marketing and social media but we are sure she will soon be getting involved with everything else too! Josh works with Andy to manage the ever busy and changeable schedule of ensuring all our yachts are maintained and serviced to the highest of standards. After working in the corporate world for many years, Josh came to us after completing his Yachtmaster Fastrack programme and has fast become a much-loved team member. He completes all the annual work on the fleet over the winter, performs our customer handovers, skippers some of our corporate and skippered charters and is also an RYA Cruising instructor, so no doubt you'll be seeing Josh around during your charter! Andy has worked in the marine industry for many years and has lots of experience in maintenance and yacht handovers. He works with Josh to manage the ever busy and changeable schedule of ensuring all our yachts are maintained and serviced to the highest of standards. He also completes all the annual work on the fleet over the winter. Debbie has been with the Company since 2008 starting as a seasonal valeter and now working as a permanent member of the team. Responsible for training and supervising all new valeters, she is a stickler for ensuring that our high standards of cleanliness and domestic inventory are maintained. Tom has joined the team to work with Debbie to help with the valeting and ensuring the presentation of our yachts is maintained. He comes with lots of experience in the industry and is already bringing us lots of new ideas! Team building has become an essential part of management development. 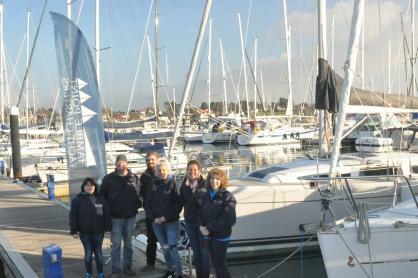 Sailing our yachts is an ideal way to get executives working together and develop their leadership skills. Additional activities and competitive elements can be overlaid to provide a more challenging and exciting edge.